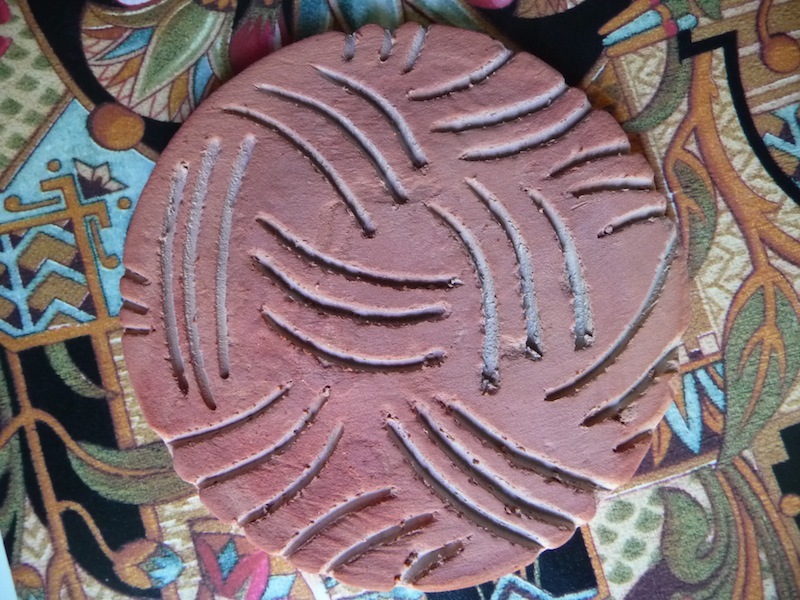 In my previous post, the art of sgraffito was explored with the use of plaster. Here’s a simple variation using oil pastels. 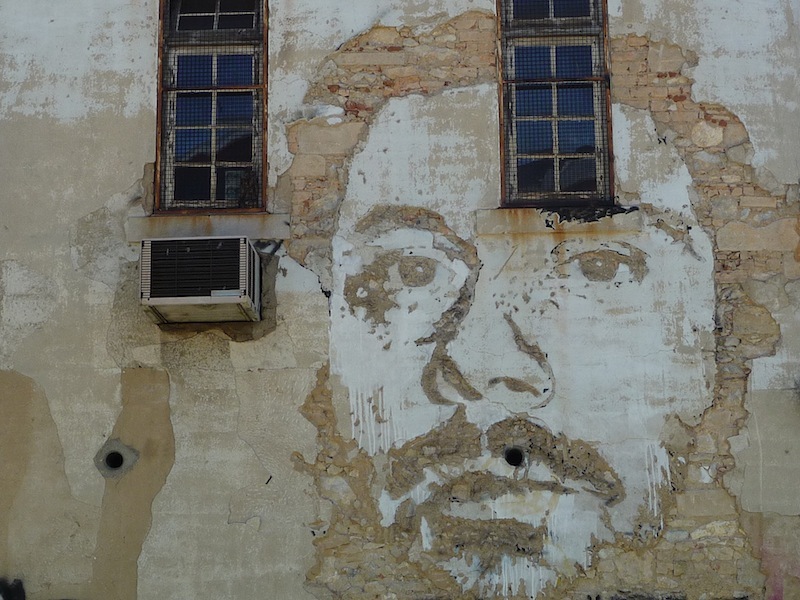 This summer, I saw some wonderful street art in Lisbon made by the artist Alexandre Farto, also known as Vhils. He creates portraits on the facade of buildings by chipping away at the plaster surface and revealing the underlying layers of bricks and stones. You can have a look at this video to see him working. It was very impressive and had me wondering how this could translate into a project for children. Abandoned buildings…power tools…not practical directions to take! 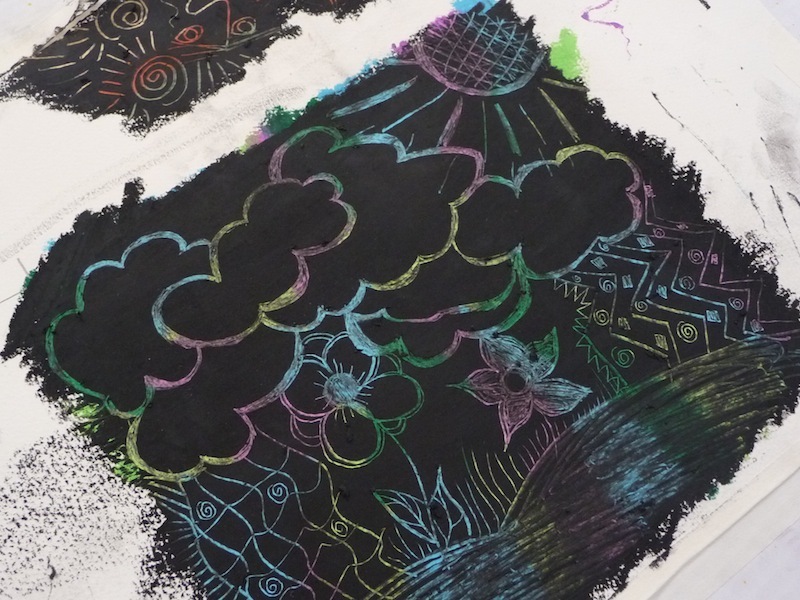 But those wonderful layers had me thinking about sgraffito. Sgraffito, which comes from the Italian word sgraffiare, means to scratch. It is a very old technique which involves applying 2 or more layers of tinted plaster on top of each other. A variety of tools are then used to scratch away sections of the uppermost layer, revealing the underlying colours, which add depth and texture to the work. It’s primary use was for wall decor and ceramics, and while it was explored in many parts of the world, it became immensely popular in 16th century Italy. While traditionally made with plaster, it can also be created with paints and oil pastels.